The amount of consumable food that is thrown away in the Netherlands is immense and equals billions of euros per year. Sadly, it’s not just the food itself that goes to waste, it’s also all the resources and efforts that go into their production, i.e. water, land and labour. Is there anything we can do about it? Are there any entrepreneurs who tackle the problem of food waste? And is it possible to offer a solution to this issue providing additional value and making viable businesses around it? Yes, yes and YES! 1/3 of these veggies and fruits will end up in a landfill. Do you think this is okay? 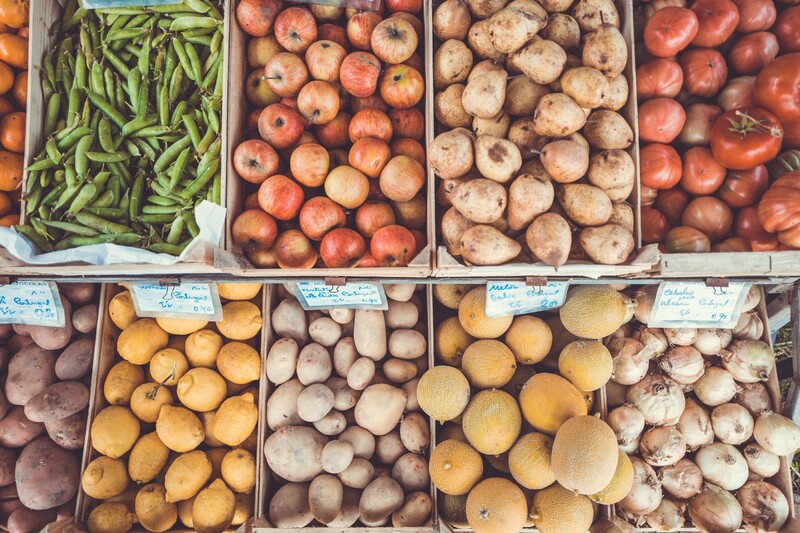 Here are 5 Dutch companies who have built their businesses around fighting food waste and making the most of it, both for the consumer and society. VeggiHap develops and produces tasty vegetable-based consumer products using circular vegetables. They make use of perfectly usable vegetables which are unnecessarily discarded due to ‘cosmetic issues’ and excess production. 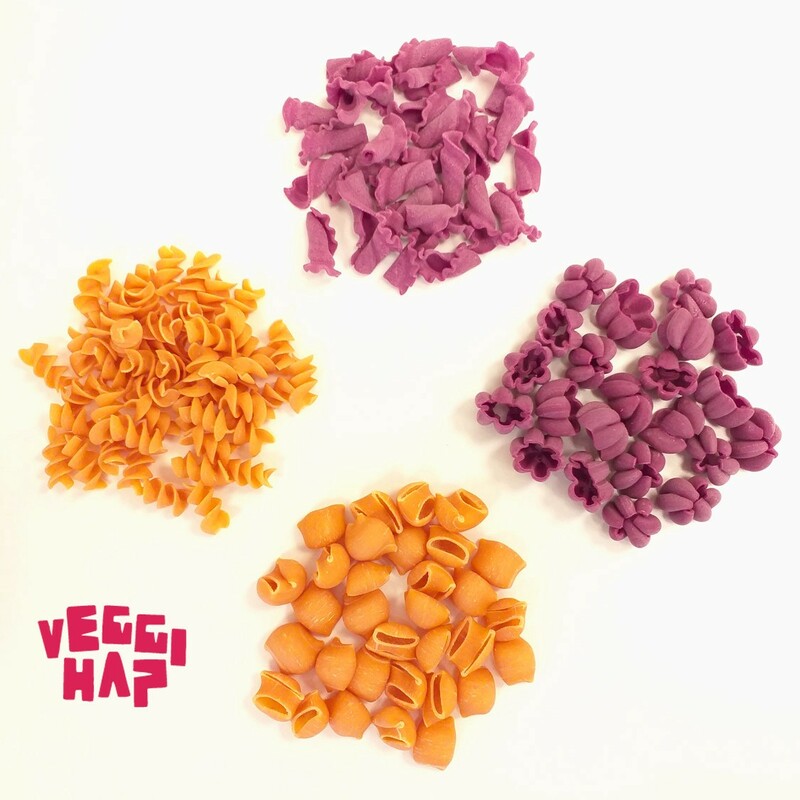 VeggiHap has taken up the challenge to stop this unnecessary food waste with its first product: VeggiPasta. Pasta as we all know and love, that contains over 50% circular vegetables. Nowadays, the company offers the spinach, carrot and beetroot pasta flavours coloured accordingly — green, orange or pink. Taste an impact in every bite and be VeggiHap(py)! Did you know that only 0.2% of the coffee plant ends up in your cup of coffee and the remaining 99.8% will be thrown away? Luckily, Rotterzwam is aware of it and decided to do something with this enormous amount of coffee waste. Their mission is to use raw materials to the maximum of their potential. That’s why they grow fresh oyster mushrooms on the coffee waste of Rotterdam and sell those mushrooms to restaurants and supermarkets in the 010 code area. Based in the BlueCity, they have all the necessary facilities at hand for mushrooms production. The other company, Haagsezwam, does exactly the same job in The Hague area. And they also sell Mushroom Grow Kits so you grow your own mushrooms at home! Cool, right? Instock is a true guru in rescuing food. These are just a few things this company does to fight food waste: they run three restaurants in Amsterdam, Utrecht and The Hague where the menu is based on the unsold products at local Albert Heijn supermarkets and other producers. 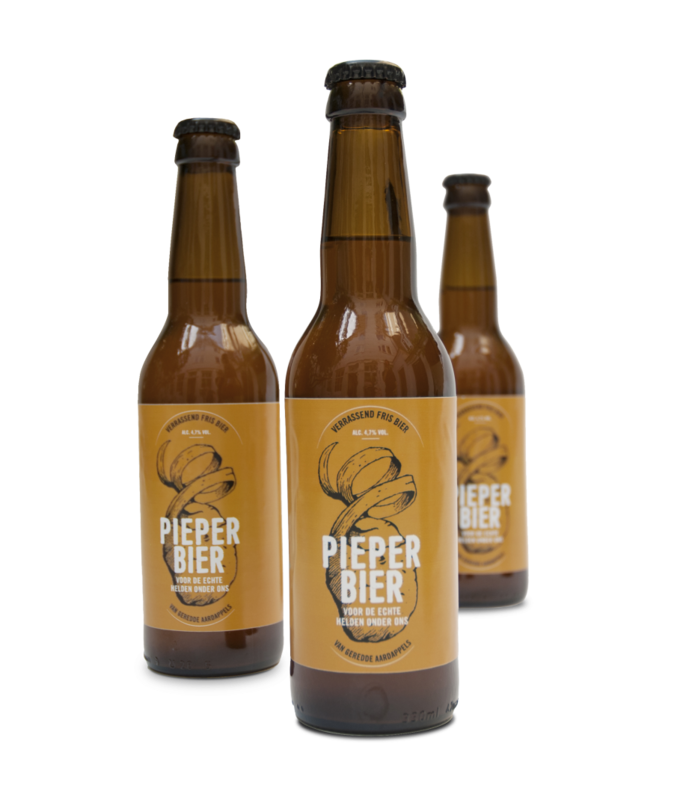 They make their own circular produce, like Pieper Beer — a beer made from potato peels, Bammetjes Beer —a beer made from saved bread, or Instock Granola which is made from brewers’ grains. They host events including Masterclasses on Instock Cooking and Instock Pub Quiz. They’ve even authored a fascinating Cookbook with tricks and tips to prevent food waste at home and make something tasty from surplus products! Instock is doing an amazing and meaningful job at the local level. And trust us, Pieper Beer is worth trying! 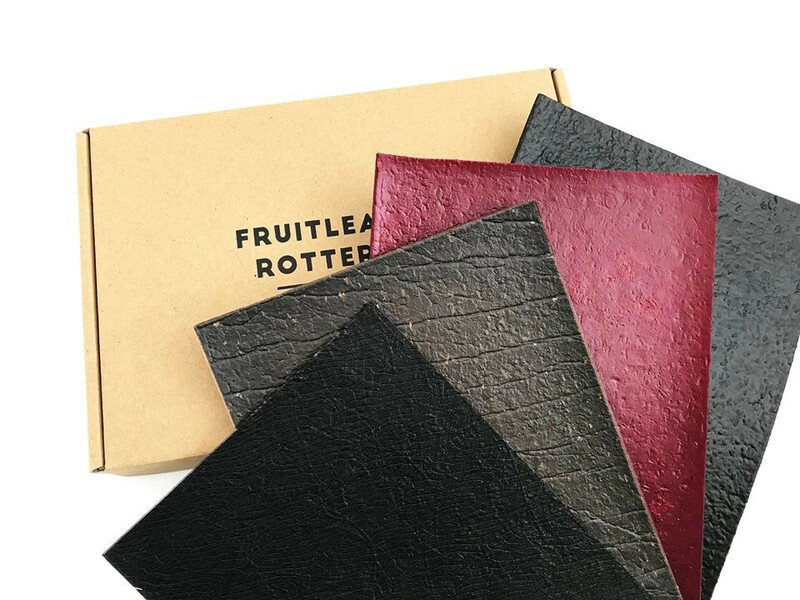 Fruitleather Rotterdam are based out of BlueCity and are currently developing a new, eco-friendly process that converts leftover fruits into durable, leather-like raw materials. Their ambition is to use the material for footwear and fashion accessories as well as in the interior and furnishing industry. Besides the problem of food waste (where 45% of produced fruit is thrown away), Fruitleather additionally tackles the issue of unethical production and harvesting of animal leather, which — as we all know — is often inhumane and detrimental to the environment. Making use of leftover fruits, the startup gives new value to something that is perceived as useless. We couldn’t but mention Too Good To Go though originally they do not come from The Netherlands. But they actively work in The Low Lands! And in some other countries like Italy, Spain, Belgium, Germany, the UK etc. 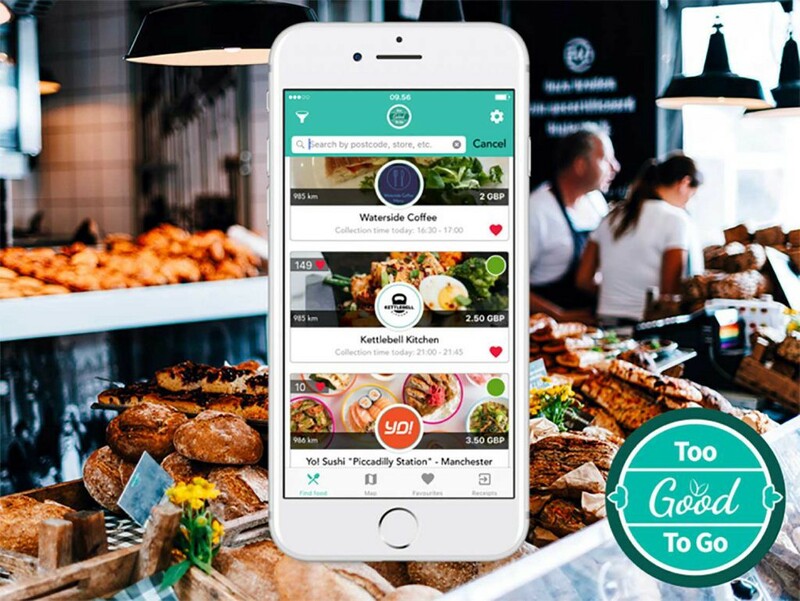 Too Good To Go is a platform where anyone can order and collect food from local restaurants for a lower price because otherwise, this meal will end up in the bin. Thus, the consumer pays less and the restaurant gets rid of the fresh and tasty (yet, unsold) food. A win-win for both! These are only 5 companies among many-many others who are working towards the same common goal — food waste reduction. Do you know any inspiring Dutch enterprise which tackles the same problem? Let us know and we will write about them! Are you like one of these startups? Contact us and let us know more about what you do! We Share supports Impact Startups in their aspiration for a better future. We connect them with a wide range of Funding Members and experts. Moreover, we offer them patient capital: i.e. long-term loans with low interest rates. More information about us and the support you can get from us can be found here.